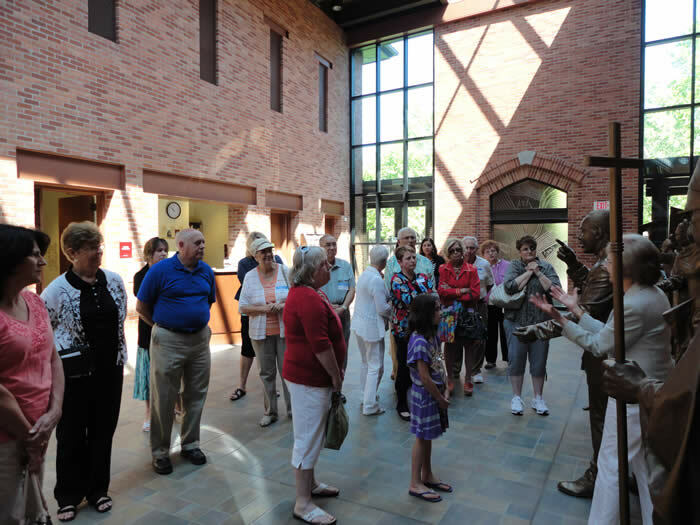 Docent Led: For groups of 10 or more, a docent will lead the group on a 1-1/2 hour tour of the Center. Groups seeking a docent-led tour are asked to contact Sally McCuen at 313.579.2100 ext 149 or smccuen@thecapuchins.org to make arrangements. A Mass can also be included in your docent led tour (either your priest or one of the Center's priests).